Finely milled and weightless, this flawless invisible powder features micro-refined silica and soft-focus light-reflecting particles, which instantly blur imperfections and minimises the appearance of pores, fine lines and wrinkles without creasing or caking. Available in two hues, 'Translucent' and 'Translucent Medium Deep' and suitable for all skin tones, the formula is translucent, gliding on to give an invisible natural skin finish, effortlessly. It’s clear why this is the undisputed cult classic setting powder. A definitive cult classic, this fan favourite setting powder feels sublimely soft, setting make up without adding weight or texture. Applying to skin silky smooth, this invisible setting powder casts a flawless, skin-perfecting veil over the complexion while avoiding creasing and caking. Simply swirl your brush in the powder and sweep across the t-zone or under eye and watch this miracle worker blur pores, mattify and control oils as well as brighten and lift your look. We’re obsessed! My go to setting powder! I started using this several years ago but at the time I couldn’t seem to get it anywhere in the UK apart from House of Fraser. It was almost always out of stock so I went off to try different setting powders. I tried NYX, Morohe, COVER FX and recently Fenty Beauty. They are awful on my skin. Fenty especially, it went very cakey, got into all my creases and my undereyes aged about 20yrs. This powder will always be my fav, never leave or change! It leaves my skin super smooth and silky. My makeup stays all day long so I’m really happy. The only thing is that it doesn’t really keep me matte. I have oily skin and after a while I’m shiny but it’s not something that a little blotting paper wouldn’t fix. It’s a great powder, sets really well without drying out my skin. Definitely the best powder I’ve had. My fav! - I cannot put makeup on without this! This is my all time favourite setting powder, I seriously cannot put makeup on without it. I know I’d feel somethings missing!!! It’s my third purchase and I’ll never stop using it. My ride and die product! Great powder! No wonder everyone adores it so much! And the volume for this price is super Buy it and you will not regret it! Love love love. It's honestly the best setting powder and worth the price 100%. From all the powders I’ve tried it was this one I liked the most. Очень люблю эту марку. Замечательная пудра. Ложится невидимым слоем - легкой вуалью.. Не сушит кожу. Самые приятные впечатления от этой пудры. После использования мини версии купила полно размерный продукт. ***I love this brand very much. Wonderful powder. It lies over your foundation as an invisible layer - a light veil. Does not dry the skin. The best impression of this powder. After using the mini version, I bought a full sized product. Soft, fine powder that's easy to apply and has an amazing skin-toned colour. Super versatile - can be used all over the face on its own or over foundation to set. Can be used with brush or wet sponge. Lovely powder very fine.good amount of product as well. Love this product so much! Everyone should try this. After seeing all the hype about this powder I decided to try it. It’s a very soft fine powder, easy to apply and gives a blur effect. However I noticed it darkens my foundation slightly, not a big deal but using it to set my under eye concealer didn’t really work for me. I’ll be using a different powder for under the eye but for all over the face it works fine. I had been wanting to try this for a long time due to so many people raving about it. I don’t get what all the fuss is about. Firstly it leaves my face looking slightly darker, somehow changing the shade of any foundation I have on. It also emphasises my pores and settles into fine lines making them so much worse. After about an hour of application my face gets shiny. Don’t get me wrong, the texture is nice but certainly not worth the price. I have a no7 powder that is so much better for half the price. It is THE king of powders... after a huge search I finally grabbed it and the hype is real! It’s an ok setting powder but I prefer the ones that don’t contain talc. It looks a bit dry on my skin and accentuates creases under my eyes. Amazing, it's my everyday go to for a flawless skin. Love this product so much! Makes your skin look flawless. It’s so good and it doesn’t give flash back (if you use the right amount of course). Doesn’t smell chemically and it’s really soft so your blush/bronzer go on smoothly after. No horrid flashback, smooths out the skin and creates an even base. Love the powder. I got the medium deep which is a bit deep for me but the good thing it adds some warmth to my face. In my waiting wish-list is the original translucent to use it for my contour setting. This sets my foundation perfectly without caking unlike some setting powders i have used before. Love it!!! I loooove this powder, so far it is the best I've ever used! I also used it on clients and everyone loved the result. Bought this powder after reading all the rave reviews. I have a medium to deep skin tone and have seen many youtubers with similar skin tones using this and loving it. Unfortunately, it really accentuated my under eye creases and gave me a really ashy almost sickly look. Tried hard to make it work with different foundations etc but ultimately was a massive waste of money. I would definitely suggest trying a sample before buying. I have tried many loose powders and this comes out on top as the best. Makes your face look smooth and airbrushed. Keeps makeup in place and shine at bay but without looking cakey. Loooooove it! Amazing product and flawless. It’s been a struggle to find the perfect translucent powder for olive skin. I recommend this product to everyone now. The best powder I ever used. This is the first loose translucent powder I have ever owned but I really like it, especially under the eyes. Feels really good on skin and my skin look airbrushed even I have some pores. Product last all day long and package has a lot of product! I have combination skin. One of the best products around. Definitely recommend and would buy again. Love this powder and use most days. Thumbs up. This is the only brand that I swear by! 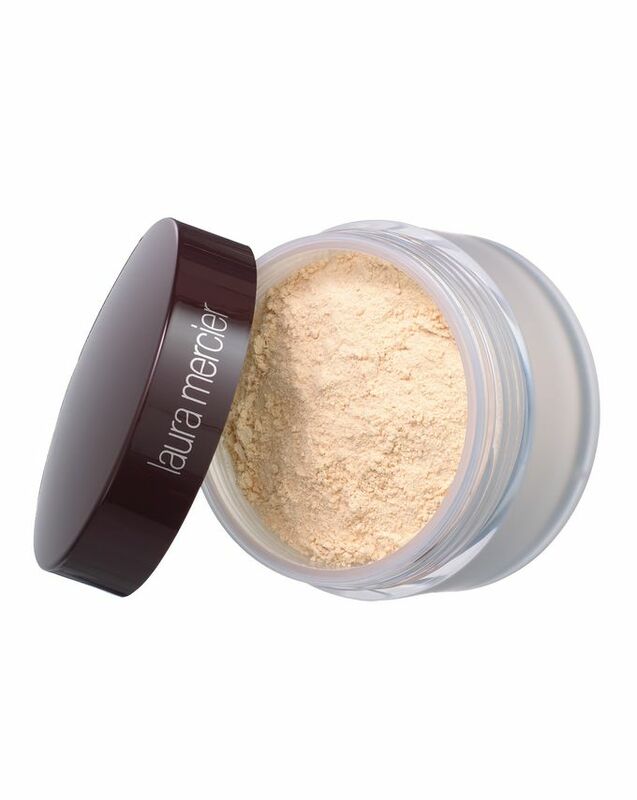 The laura Mercier loose setting powder makes your face look smooth and protects your makeup to stop it from rubbing or coming off. I work 9 hour shifts and it looks the same from when I first put it on in the morning to when I get home. I have tried the setting powder on different types of foundation from drug store makeup to high end beauty makeup and both look exactly the same. Amazing and worth the purchase! After watching Youtubers and MUA’s rave about this, I must say I was slightly disappointed. I found that the powder actually enhanced fine lines and wrinkles and was actually quite heavy. If I use the smallest amount under the eyes, it does set my make up, but I do think that Makeup Revolution loose setting powder is just as good but a fraction of the price. Not a bad product at all, but unsure of what all the positive reviews were about. I feel like it's a bit too heavy for under the eyes. That area tends to look crepey and more mature. It does change the colour of foundation or concealer slightly. I do like it, but I don't think it's as great as people say. My RCMA looks better and lighter underneath the eyes. I am a 25 year old YouTube fanatic, always looking for the best type of products. Heard sooooo much hype about this product but wasn't sure due to the price, but I caved and purchased. The first time I used it I was SO disappointed... and annoyed. When I baked under the eyes I left it there and did the rest of my make up, I then brushed it away and couldn't wait to see the results... ummm... hello? Where have you gone? There was literally no difference it just made my under eyes look dry, lines were more visable, texture of skin was enhanced (not good). I am soooo sad girls. Bad times. Although it is not so great for mature skin. Love it and will definitely buy it again!! This product is overrated. Although it says translucent, it left a white cast on my face, even if you use a little bit, a white cast is still left behind. I’m a medium skin tone, nc35 and there are powders way better and cheaper than this one which are worth your money for example the revolution banana powder. I regret splurging on this. I've been wanting to try this raved upon product to see if it really does wonders...and it does! I have normal to oily skin, sometimes the T zone gets really oily, especially when it's hot outside and I have tried many different powders, both pressed and loose, none of them having the same effect as this one. It sets my make-up for at least 5-6 h, without looking cakey, it stays put and looks natural. Even though it's hard to get and a little pricey, it is worth all the efforts. Plus... a little goes a long way. Totally recommend it for oily skins. Best setting powder on the market without a doubt. It’s pricey but if you want makeup that lasts all day then don’t hesitate to buy it. I’ve taken one star off because it should come with a powder press (sell them separately for under £14) overall brilliant product which I’ll continue to buy. Very good powder and easy to use with a big brush or beauty blender. Highly recommend. I have been using this for many years! It sets the foundation and gives a very smooth effect! I love it! It's perfect. Makeup stays all day. This powder is perfect for baking under eye and for setting the entire face. Does exactly what it says on the tin, sets make up beautifully and fills in pores too. Would definitely recommend. I love this powder. It's so fine and silky and it feels great on the Skin. I got it in Medium- Deep because I always feel like banana powders make me look ashy. This powder is perfect. This powder really has something more compared to others... It flawlessly sets foundation and concealer and leaves your skin glowing and crease-free... I received the mini size in the last goodie bag, and I thank CB stuff 'cause I wouldn't ever buy it as it's a bit pricey, yet it's excellent and a little goes a very long way. I got this as a freebie to try and I instantly wanted the full sized version! It’s really light and feels lovely on the skin! It keeps my make up fresh and flawless! Definitely worth the money! I was sworn off loose powder because it’s such a faff but a friend recommended this to be and I have to say it’s lovely. Super light and glowy. Quite expensive but a little goes a long way. Looks super smooth and flawless! the best setting powder on the market!